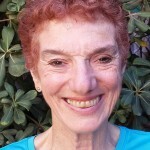 I have been a teacher in the field of special and Jewish education for more than 40 years. I’ve taught young children in day care settings, in the United States and mostly in Israel, typical and atypical teenagers preparing for their bar and bat mitzvah, typical and atypical adults expanding their knowledge and involvement in Judaism. I am an active member of Kehilat Hod ve-Hadar, an egalitarian Masorti (Conservative(congregation in Kfar Sabah, Israel. I love teaching. I love reaching out to everyone. I love adapting material to individuals. I love the communication and learning that flows between us. I had my Bat Mitzvah when I was 35, so it’s never too late to start. With this website we reach out to all of you, wherever you may be, to help involve you in your Judaism, to be part of your Jewish community.